That leaves us with - who DID create the Xenomorph and more importantly, who created Humanity?! These concepts are the focus of Scott's new direction for the franchise, the Alien itself is merely a pawn in a much larger game, if you will. 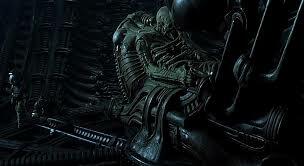 Below you will find information which we were provided with, concerning the Engineer, Human and Xenomorph dynamic. Please be warned, the following may contain spoilers. Sources close to Alien: Covenant had relayed to us that the beings discovered on Paradise were either Human, or another "link in the chain", so to speak - not Engineers. Engineers did not create Humans, but are part of a linked, evolutionary chain, set in place by another, higher being. We were also told that this isn't the first time Humans (or another Humanoid within the chain) have been to this planet (Paradise) in Alien: Covenant, which was confirmed in the latest trailer when Demián Bichir's character noticed Human vegetation on the planet's surface. Humans, Engineers and 3-4 other iterations of "Humanoid" beings have all been created and seeded throughout many universes. The Engineer/Alien debacle is not limited to our own Galaxy. Mankind as we are now, are the 4th or 5th Generation of this evolutionary chain - not the product of natural selection and Ape evolution. Paradise is essentially the Cradle of Creation within our Galaxy, a loose reference to the Garden of Eden. Those above the Engineers are widespread and Paradise is just like their Headquarters within this Galaxy. We were also told that the beings above the Engineers and Humans have the ability to affect climates and essentially the cores of planets - manipulating gravitational forces, to elicit massive scale natural disasters and alterations. Our sources hinted at that the Great Floods and Ice Ages reported in Bibical scripture were actually a manipulated phenomenon by those above the Engineers and that they use this technology to transform worlds and reset ecosystems. Beyond what our own sources relayed to us, we can only speculate that these Humanoids are somehow in competition with one another, vying for dominance of the universe. With unique technology native to each species' origins, both Human and Engineer (and the others) are attempting to wipe out the others from existence, so that they may completely rule, unchallenged. You can refer to Prometheus' opening sequence as evidence of the Engineers seeding a planet (which could be Paradise by the way). This is further reinforced by the Engineer's hostile reaction to Humans on LV-223 and the discovery of their plan to wipe out Humanity. "In order to create, one must first destroy", as explained by David insinuates the Engineers, must first destroy Humanity to make way for their own population to take hold of a planet. 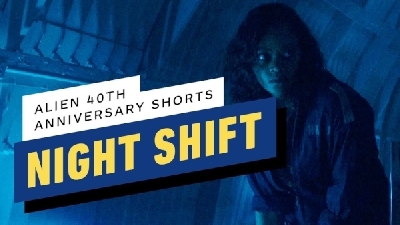 We've been holding on to this information for some time now and felt this news of Scott's Xenomorph origins remark as a good place to drop some of it for you. Although the source had claimed this information was accurate prior to the John Logan re-writes, the overall concept of Humans being at war with Engineers and seeding planets to monopolize the Universe should remain true as evidence seen so far supports it greatly. ..."a manipulated phenomenon by those above the Engineers and that they use this technology to transform worlds and reset ecosystems." I wonder if this ties in to the extremely hostile environment we see on LV426...the weather, lack of oxygen, and the general rocky-like surroundings almost make it seem like someone intentionally made that planet uninhabitable. Very interesting.There will be soo many things to explore in prequels. I always thought that the Engineers are not Gods nor our creators but servants to other higher beings that created them.And those beings are not gods either,they also worship something thats above them. Pretty much how androids are servants to humanity and humanity worships all kinds of Gods. 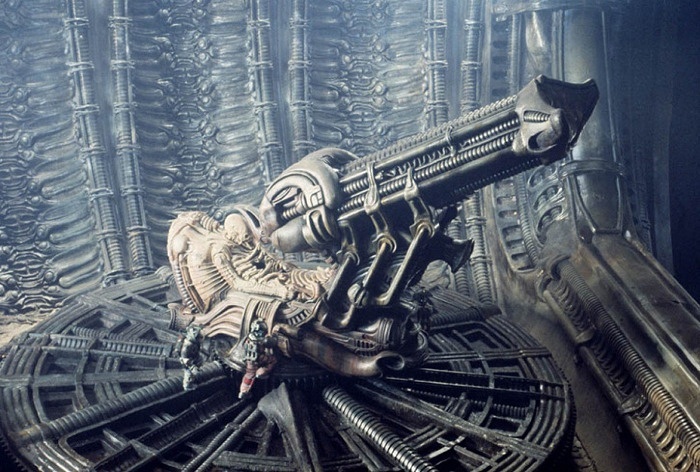 And I mentioned on some forum topic that I envisioned the Engineer god as a large biomechanical Giger looking machine that covering half of their planet and most parts of it are hidden underground. But thats just my imagination running wild. This is beautiful. Maybe then the Space Jockey was not an "engineer" at all but really something more ancient and mysterious. Anyway I really like the idea that they bring all this mystery back into Alien. They tried it with Prometheus, but in all in my opinion it did not live up to anyones expectations and felt kind of lame. This will probably be the movie they intended to make from the beginning. It seems Ridley has added much more depth an complexity into the story and sets up the stage for more films. I do hope we get to see more of the Engineers because so far it feels like they're being set aside. I'd also be curious to see more of the "3-4 other iterations of "Humanoid" beings". I enjoy the larger scope of these films, but I hope they won't blatantly disregard human evolution. We have a clear link to all other life on earth, so claiming that we are separate beings makes little sense unless the engineers (or whatever other being) created us through evolution by creating all life on earth. I don't mind mixing some creation elements into the story, after all that is a great source for existential horror, but I would like to keep some science in this science fiction franchise. @Gee W there are LOTS of recent references with RS saying this series is about evolution. The Xeno is a weapon of mass destruction. So, who ever created them must have higher abilities than the engineers or created the xeno in response to the engineers. The idea of a human/engineer hierarchy existing with a higher power was mentioned right before Prometheus' release then seemed to disappear. But it makes the most sense. The ideas was that the Engineers are the 'angels' to the higher powers 'gods'. I read a Ridley quote somewhere where he states that he views the Engineers as the 'dark angels' of the universe, implying that this 'higher power' isn't necessarily benign. Quite the opposite. That said, those thousands of dead bodies seen at the temple in the Alien Covenant trailer aren't engineers to my mind - they're humans. The giant 'head' statues lying in ruins symbolize the Engineers or Gods those humans worshiped. The likelihood that David would be able to overthrown Engineers, even with the Black Liquid accellerant doesn't fly. I do think he or the crash of the Juggernaught mutated the environment of that planet though. 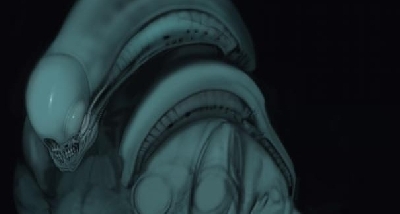 I never thought the engineers created the xenomorphs. Rather I thought their species was the first ever created by God, if you will. They then turned against their creator due to its hatred toward the other creation. Wanting sole love and devotion form its maker. This led to them commuting a grand genocide and ultimately being imprissoned in the urns. The engineers later discovered the urns and thought that it was the "blood of God" or holy grail. Also do you guys think that Ridley's team is taking a lot of ideas from here and avp Galaxy? I notice how as these films develop more and more, more ideas that were first brought up here seem to be now getting implemented in the film. So the Engineers got a little too big for their britches and decided to wipe out their creators and their younger cousins (humanity). It doesn't explain, though, the DNA match between us and them, or the scene where the Engineer is supposedly creating humanity. @First Child, i dont see that they are borrowing anything from the AVP Galaxy but i am not familiar with the comics or novelization of AVP though to be honest. In my honest opinion i never liked the idea of AVP, each has its own tone and setting and they elements that make each entertaining do not work well with each other. I feel that is partly why the film versions were so awful....they are both cool, just in their own way but they dont work well together on film because of the differences you need to or each of the creatures film mythologies are based with. The Alien (Xeno) works best in a haunting almost gothic haunting setting with an ominous sense of dread where the Predator works best in an action film, because what people want to see if the Predator kills using his flashy weapons etc on screen...where the Xeno is better suited where we just get glimpses and it to me it just doesnt jive on film. No. Darn it. Far too many inconsistencies already for these new ideas, just from Prometheus alone. Even if these new editions to the storyline were airtight with everything we've seen so far, i'm feeling like it's going be TOO complicated a set up, and will ruin the story, and probably also, technically-speaking, the franchise once and for all. Nice. Could be why the crew from prometheus was able to breathe at the military facility. If it is true, humans may have had a hand in what happened on LV223. I remember when Shaw and them opened the goo chamber the weather went to hell instantly. It was weird. 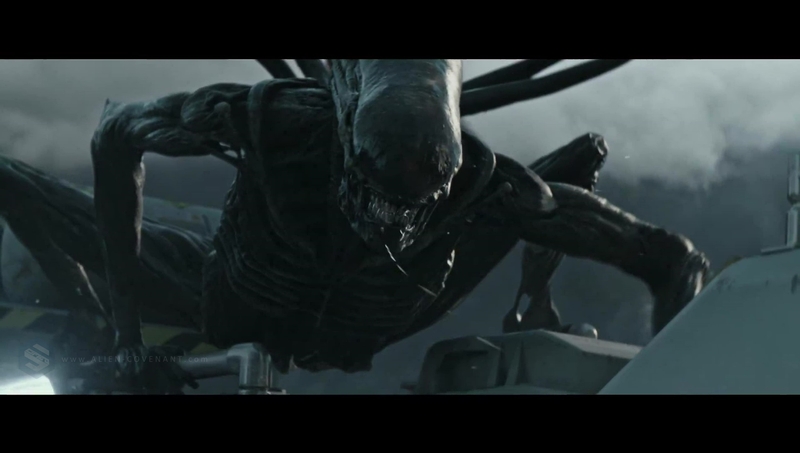 I hope they don't use Hr giger' art and ideas in these films. They need to be used for another franchise altogether. What will likely happen is that these story points will be expressed visually, rather than presented as elements you have to digest and recall to understand what's unfolding. That was part of what many disliked about Prometheus, but the net result was a great deal of ideas and subtext being fit into a relatively small package. So I imagine AC will reward scrutiny much the way Prometheus did. I feel the MORB is an engine of punishment, as much as it is a weapon, an example of extreme bio terrorism. I have believed up to now that the Engineers were created to manage the black liquid, which is the weaponized version of the MORB, and access to this power corrupted them. It fits with the themes throughout the Alien story. If I turn out to be correct, I think SciFied should buy me lunch. "this thing designed to make human beings." Did it mean to say designed to kill human beings? The movie was set to show us that the Engineers played a role in the creation of Mankind, it maybe started with the seeding of the Engineers DNA via the Sacrificial Scene, but these Engineers came back over and over to evolve life and manipulate life on Earth until Mankind was the Evolution. The movie set up that these Engineers had also created that horrid Bio-Weapon on LV-223 and those experiments and it was intended to be used on Mankind. Ridley re-enforced the knowledge that the Space Jockey was a Engineer (or related) and that his Ship was a Biological Warfare Cargo Ship or even a Bomber. And the Xenomorph was Engineered as a Weapon. So the new comments from Ridley are interesting... is it a contradiction to what he said before? all along? Or is he suggesting the beings who are represented by the Big Head Statues in Alien Covenant in the Cathedral who are superior beings, wise men and 10 apostles (Messengers or Emissaries of a higher race or the heads of the Engineers Estate) and the beings thus who at very least are the heads of those Engineers (or related beings) on Paradise as far as Hiearchy, who have their image decorated in that Hall as a place of Worship to these beings and the Knowledge they had and brought. 1) Not been the creators of the Sacrificial Goo, and it was stolen or mis-used by those beings but never created or owned by them. 2) Did not create the Biological Warfare in those Urns. 4) The Xenomorph is either Ancient or there is a Ancient Origin that the Engineers or those heads of state in their Civilization did not play any role in. So something predated the Xeno evolution not created by the Engineers in anyway. Indeed this information seems to match some of what is coming out now but its a case of interpretation as the Source i had was vague and ambiguous with regards to masses of information. Its nice to have a recap of some of this again on this thread and saves people have to look through back tons of posts made between March and July 2015 on this subject. Not sure from the information i had if we could arrive at any potential conflict between various races of Humanoids... as the information is vague. *Maybe Titans should be on the same level as Angels? So in context to Prometheus/Alien Franchise... the Engineers and Elders are not the Top of the Hierarchy but we dont know how many levels are above them... could be ONE.. could be Many. But indeed the Source seems to hint that Paradise is where the Cradle of Creation took off from within this Galaxy, the beings/Power above the Engineers are not bound to just this Galaxy they are Galactic in Scale. And indeed Mankind is actually 4th/5th Generation and Engineers DNA is involved in this Evolution but they dont hint at which stage this is at. They are basically hinting that Mankind did not Evolve from Apes, but that the 1-5 Stages before Mankind we would see those Engineers and beings on Paradise fit in some way. The claimed that Biblical Disasters are and have indeed happened within context to the Franchise, just we should not take it literally as those events effecting our Generation of Mankind. (so they hint they are events against previous related beings). They said within context also that we should not consider Paradise, Garden of Eden and Heaven and Hell like how the Bible has and that we need to remember in the Franchise Paradise is not on Earth its another World but Biblical Events related to Paradise apply loosely to the Franchise. This to me is a hint that we should consider the Paradise Lost Poem and Biblical Garden of Eden as being a event that will loosely and not too literally be at play within the Franchise but that these events happen on Paradise the World in Alien Covenant and not a area on Earth around Iraq etc. Ridley's quote and the title of the article are confusing. Ridley mentions humans and that engineers didn't create them, nothing about the Xenomorph. Am I missing something, or is there something implied that I am not aware of? As far as the MORB or Xeno goes..
As i covered in Spring 2015 the Source claimed that Mankind plays a bigger role in the Xenomorph than those Engineers. They also said that in order to Re-Create it (Xeno or Deacon?) all you need was the Tools and Knowledge and David possesses both and he wishes to Play God himself, he was disappointed in his creator and saw himself as a more superior being and one who should not have the role of merely a Servant, and that David is taking on the same Arc that Lucifer had done. David also knows the Engineers are Mortal too and its only the Technology and Knowledge they possessed and obtained that made them as Godly as they appeared to Ancient Man. So David now wishes to create himself. The source claimed that the order of creation does not Start with the Engineers and it does not end with David, and that the movie is a constant tale of Creation/Rebellion and Punishment and then Sub-creating and repeat. Its a theme that is followed in a lot of Religions and Mythos and some on a multiple level. Particular the Greek Mythos and constant Fear of Rebellion by your creation that Led to Kronus fearing Rebellion from his own Children because he had Rebelled against his own Father... and this follows on with Zeus who has fears for the same from Mankind. 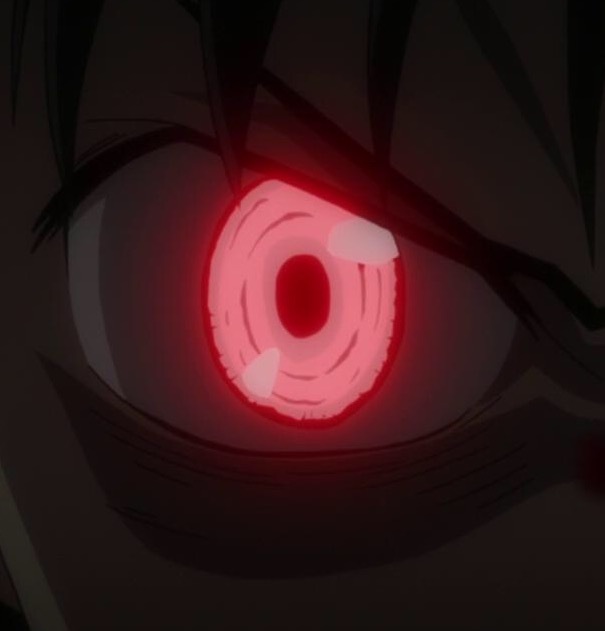 And the Source claimed within the Franchise this is similar to what happens, the Engineers are fearful of Rebellion and overthrowing by Mankind because its what they had also done to their creators (or attempted). So indeed they hint that we are seeing a constant theme, and they actually claimed the Matrix Theme as far as relation is more closer at play. Also Shaw was to get some answers, but those answers are further away from the Hopes she had for when she found Mankind Maker before she set off to LV-223... she finds a horrific place and race their but her pursuit of answers on Paradise will give her a True Horrific Agenda for Mankind and the Engineers. 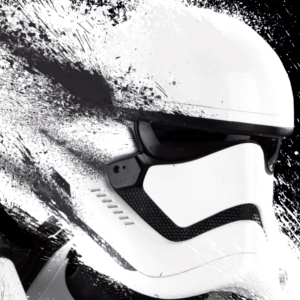 I was told in February 2015 that come November to expect news on the sequel and that Production would start to enter full swing by Fall of 2015 and Shooting would either complete by March 2016 or commence. With the new trailer, and the on set reports and Ridleys Comments recently it could be indeed the Source was correct. Funny enough that the Concept arts they described have also been described by the on set reports. Oh man, now a theory I've been toying with has an actual possibility of coming true. I guess I'll need to write a forum post on it. This information i always said to take with a grain of salt... as i personally one a 1-2-1 basis dont know who the Source is and so it was via someone i know who had contact, and so its a case of Chinese whispers... some potential second hand information. They also put things down in vague points and never spoon fed the information... they was just as vague as Ridley Scott with his comments... such as the one about "So we've reinvented the idea of Alien, I think, which is that Covenant gets us a step closer to who and why was this thing designed to make human beings. And if you think it's them [the Engineers], you're dead wrong." Its been two years since i had been passed it, and somethings started to add up... particularly when we heard Wayne Haags interview as the Source seemed to have the information at same time Wayne Haag also came onto the Project. But things can change a lot... it would be like someone who knew about Spaights Draft and released information vaguely off that draft and then imagine if Spaights draft never ever saw the day of light. Some points taken from his Draft would not be in the actual Prometheus movie... also changes happen from Draft to Screen... Evidence is with Lindeloffs draft compared to Prometheus movie .. even when you add in the deleted scenes. I can't wait to watch the movie now. I think perhaps that the Yautja are one of the 3-4 other humanoid species. What we saw at the end of Alien: Resurrection in the alternate ending scene where they landed in a destructive Paris, could this be the result of those higher beings destroyed our planet again? It looks like the entire environment on Earth changed in a waste land. I know that the coming next few years with Neil Blomkamp’s new Alien 5 movie the franchise will be retconned from Alien 3, but this could be a possibility what we saw in Alien: Resurrection. What I was thinking while reading this article, is that the Engineers visited us many times thousands of years ago in ancient cultures, what we saw at the cave painting in Prometheus. The Engineers were first friendly to us. I think that the Engineers asked us for their help again against the higher beings and wants us to be their allies before they start getting hostile to us because the last visit of them on Earth didn’t end well. Before that time being hostile towards us, they waited until humanity is ready again for space travel. We found Earth hundreds of thousands years ago and decided to stay here for generations in the hope we can have a peaceful life and stay away from the galactic war where we are involved in and where the higher beings can’t find us, until they found us and cause the Ice Ages and the Great Flood in the hope to wipe us out for good, but we survived. And maybe this was the reason why the Engineers visited us. Its only what the Source hinted at 2 years ago... that Chris has brought to life now because those comments by Ridley Scott seem to back up what was said 2 years ago. 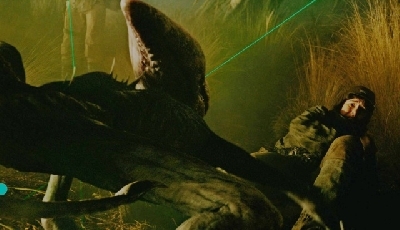 As far as the other 3-4 Species and a Predator.. well yes in Fire and Stone maybe... but in the movie franchise i dont think Ridley Scott is going to have Predators in it. The Source claimed we are 4th or 5th Generation hinting that we are a Genetic Evolution of Previous versions of us, if we look at the Evolution image again.. They are suggesting there is no Ape in our Evolution but beings related to those on Paradise are part of our Evolution, The Ape Evolution image we see as we move from Stage 2 to 6 we see the beings become more Human and Grow in Size. Maybe The Engineers are in-place of the Ape or Stage 2-3 and each Evolution the beings get smaller in size? 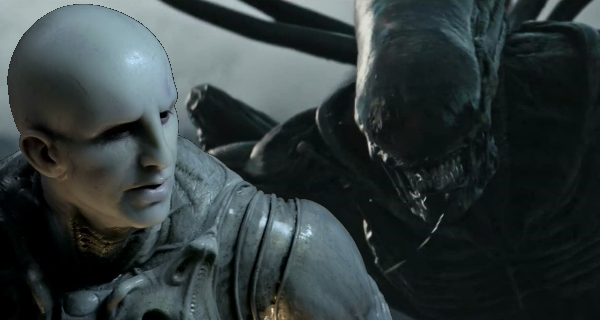 Certainly seems some Engineers or other beings in Alien Covenant are smaller than the intended 9-10 foot Engineers in Prometheus... that actually was 7.5ft and then the Space Jockey is like 13-15ft tall. So it could be just multiple versions of Humanoids that differ in size. Ridleys comments back this up. @Xenowarrior indeed some parts i agree with, Ridley Scott did say when Prometheus was out about previous inhabitants on Earth in the past and mentioned Atlantis. After this Apocalyptic Event Two Humans, Líf and Lífþrasir, have survived the destruction by hiding in a wood and its from their descendants the world will be repopulated. So this is like Adam and Eve but its different, this Norse Tale can be interpreted as the Destruction of a World and then Re-population with a few survivors to re-start over again. I get the impression the Source is hinting at similar and that every time this has happened, the New Humanoids are maybe genetically altered from previous ones. Now you're talking! Thank you. :=) I just knew that there is something else much much bigger that hasn't been shown yet or maybe wont even be shown. I had the feeling that the Engineers which happen to be my greatest curiosity in this whole series may just be a pawn or like he said a link in the chain. Wow this makes me happy. Cool deal!! 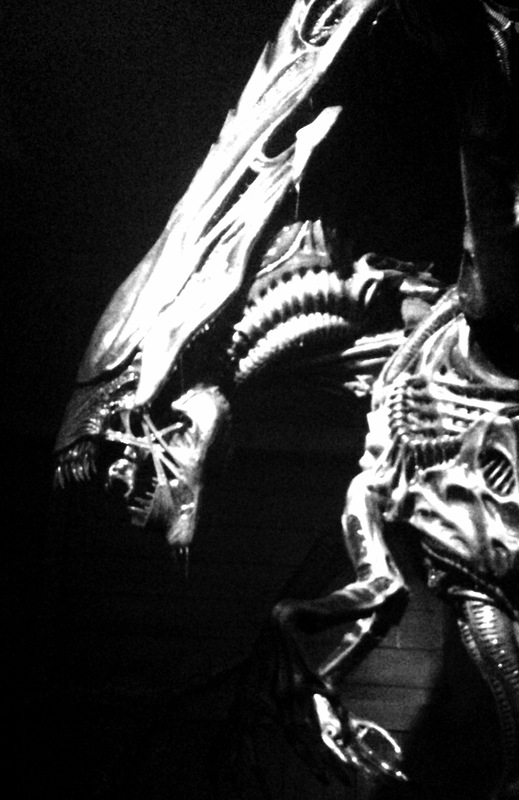 Oh and by the way, maybe the Xenomorph Alien are a thing of you're nightmares, but not mine. Now, I just hope that Scott knows what the !!!! he's dong and does what he does best and that is going with what he knows in his head with the story and not try to answer to all his fans chatter.. I'm very glad and now satisfied he said what he said here in this interview. Even if he keeps the higher beings/God if you will, a mystery, and I'm good with that. I and many many others don't believe the XenoMorph should be everything about this franchise, because it has so so much more potential than just monsters/horror. Promising . . . I'm a bit knackered after work and have a pulled muscle in my calf so have skimmed the above somewhat as my attention is wavering! In short, it seems that what's being confirmed here is that the Engineers didn't create the xeno, right? We're not sure who created us exactly but as BD points out it would appear they visited us many times and left a map(?) so it does suggest engineer interference at the least . . .
My big question(s) now then is who exactly was wanting to destroy us and why? It would suggest Eng's but then why create us, if they did? Intriguing . . .
And who instigated the 'outbreak' on LV223? Accident or foul play? A direct attack seems more likely now doesn't it, but by who? Is the goo we see in Prom (sacrificial and later/Deacon goo) the same stuff? If not, who changed it and why? If the Engineers didn’t create the Xeno or humanity, then why care about them? What is so special about the Engineers that they were featured a lot in Prometheus? 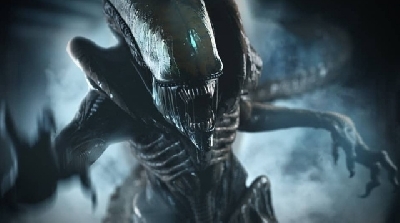 Hopefully this gives an opportunity to make a new sort of Aliens (alien as in unknown life form) that is interesting and that is more involved in the Xeno. I don’t really care about who made humanity even though it is interesting about the issue of human existence. Those that are on the top of it must be made interesting or else this will be a letdown it seems to me. Maybe this being could be made as a mad scientist or megalomaniac? It can be made in an interesting way but maybe they have aimed too high for their own good? I hope that this isn’t Scott’s vision, evolution seems to be the theory that makes most sense right now until they have come up with something better. I hope that Scott doesn’t believe that some aliens made us, LOL. “We were also told that the beings above the Engineers and Humans have the ability to affect climates and essentially the cores of planets - manipulating gravitational forces, to elicit massive scale natural disasters and alterations. At least that is a start of something interesting, hopefully they won’t mess it up. Has anyone thought that maybe the xenomorph is a product of the neomorph/android (or black goo/android) 'coming together of' whether by accident or by David 8's affinity to play Frankenstein? Perhaps the xenomorph came into creation through the mechanical parts of a Weyland android crossed with whatever the hell that black goo can do or what David 8 is able to do using a neomorph? I think it's interesting to think that maybe this life-form that Weyland Co. is trying to obtain so much in the previous films could've been a product of a hybridization of one of their own androids thousands of years earlier. “We were also told that the beings above the Engineers and Humans have the ability to affect climates and essentially the cores of planets - manipulating gravitational forces, to elicit massive scale natural disasters and alterations." New here. I was never a feverish Alien fan like you guys. I like it, and I have re-watched it many times becoz I like those Bio-weapons / organisms themes, probably becoz I am a biologist too. But I got hooked on the Alien franchise becoz of Prometheus. The movie is bad in a way there are too many unfilled holes and its kind of all over the place. But at the same time there are lots of things they can follow up, and in a way, it is good for the Alien prequel/sequel franchise. Anyway, I want to tell you guys my theory about the chains of order/hierarchy. I think it could cover many of the facts shown in the movie and the 'rumors' circling around. RS hinted that engineers did not create xeno/human. But it does not mean that human/xenon did not evolve from engineers. Humans and engineers have the same DNA, so it is safe to suggest that engineer is an ancestor of human, just like human evolve from apes but apes did not CREATE us. My theory is that engineer/humanoids/humans are part of the life/evolution chain. Goo/black goo are the tools to evolve. Because we are all coming/evolving from the goo, we all share similar characteristics: to learn things, to reproduce, to dominate, to advance and eventually to play God. In each level of the hierarchy, say the engineers in Prometheus, that group will like to ultimately create (seeding life scene) coz they advance to a level that now they can access the goo and want to/can play God. It is these characteristics that cause the movement of the chain. So engineers play God and help "making/evolving" the humans. The chain is not linear; meaning that, says engineer may have modified and evolved a range of human/humanoids. They do that becoz of the impulse they inherit from the goo/black goo. But this chain of the order has an ultimate purpose. That everytime two groups meet, there is a chance that an alien type of creature (neomorph/decon/protomorph/xenomorph..., etc.) will be born. This is the attempt to produce a perfect organism, i.e., The God-being. 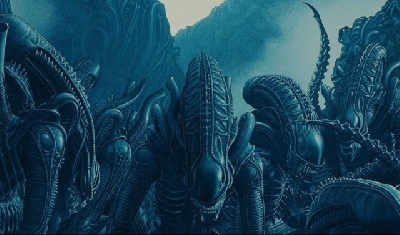 If that organism isn't perfect, as the killing machine the xenomorph is, those groups got destroyed by the creature itself. In this sense, alien creature is a "punishment" to those groups who fail to produce the perfect organism/god being. So all life forms have the same purpose: to try to recreate the god-being. That's our purposes. And the chain of the order did not move like a written manual. It is only happening because of the trillions of life forms that form and that we all bear the same characteristic (from the goo) so the even the small probability thing will eventually (advancement of technology, to play god and the alien creature) happen. But you can explore on that. Maybe you can argue that it is a loop. Perfect organism/ god-being-->humanoids xxth generations-->David or creature like david?--> god being. So at any one level in the hierarchy, you are the creation of someone and you are also the creator of someone else. There is no ultimate being or that the ultimate being is the black goo or the hierarchy itself. That can be a philosophical angle. Or that you can say that the creation or evolution of human or any life form is a "life-cycle" of the ultimate being. That trillion of life forms are needed to be created, modified and destroyed in order to "maintain" the life cycle of the ultimate being. That is quite sinister to me. What do you guys think? Maybe someone has the same idea before but I could not go through everything in the forum. If that is the case I am sorry! @spacewitch I believe David does have something to do with the production or maybe even the evolution of the Xenomorph. He no doubt plays a part in something that's very evil. @CH HO Welcome.. There are a few theory's in this forum that are absolutely amazing and are great reads if you like Science Fiction. I swear, there are a few folks in here that are super bright and can definitely write..
it has been pretty obvious since the first COVENANT teaser that the "seeding" scene in PROMETHEUS is not set on Earth (which i never thought it was). because we see the Covenant flying over the same mountains and lakes that we see in that scene in PROMETHEUS. one thing that contradicts this whole "theory" is the fact about humans and engineers sharing the same DNA in PROMETHEUS. 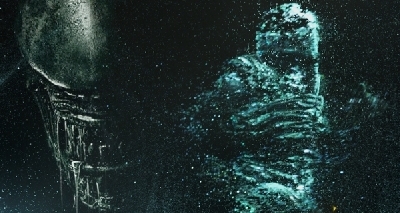 The Murals that we see in Prometheus that show face huggers attached to their host's and of a Deacon looking Alien. I wonder who made those Murals. Its obvious that who ever did make it knows a little something about the Alien and its face huggers lmao. The "engineers" didn't create anything because they are irrelevant. Or, I'm sure that was the original intention until FOX thought it a good idea to milk the old money cow. Interesting design but walking/propulsion on the same appendices that a creature uses to manipulate things is inefficient biologically wise. I also thought the Space Jockey had legs...Unless the Space Jockey was a supersized Engineer. 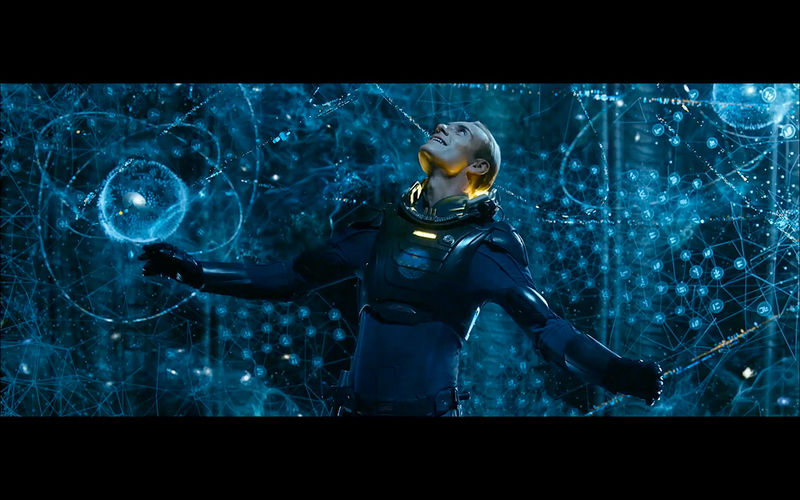 In Prometheus we were led to believe that the engineers created life on earth. And that they came down to earth to inspect and perfect their creations (based on all the cave/wall drawings found across earth), and even planted a map of their home location too on those walls. And in the film via the DNA analysis, we found out that humans share the same DNA as engineers. If Shaw's hypothesis was completely wrong about the Egineer race creating humans and plotting the "invitation" on the cave murals, then what was the point of producing and releasing the film? Based on a lot of the info/rumors of Covenant, it's like Prometheus is no longer part of the Alien canon. 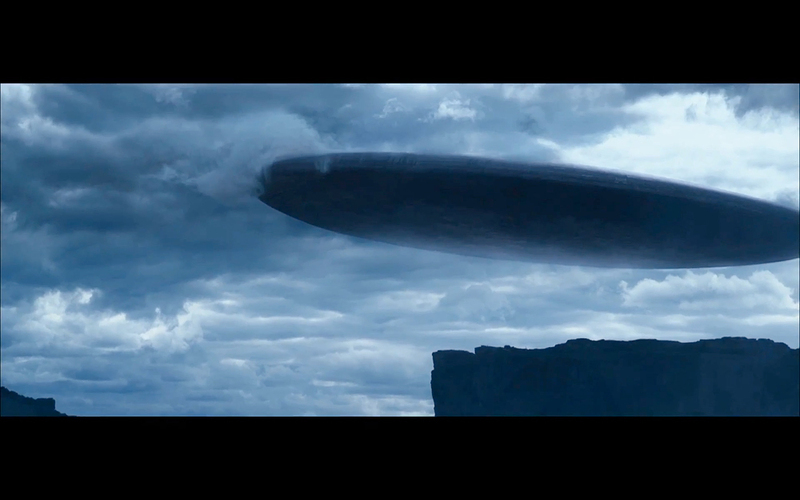 Also, I keep seeing a lot of posts about how the opening scene in Prometheus doesn't take place on earth, but on the planet we see in the Covenant trailer. If that's the case, then what's the point of creating life on that new planet? Since there's the idea that engineers didn't create us, we're the engineers trying to expand their race on other planets? If so, couldn't they just have done that via conception/reproduction? 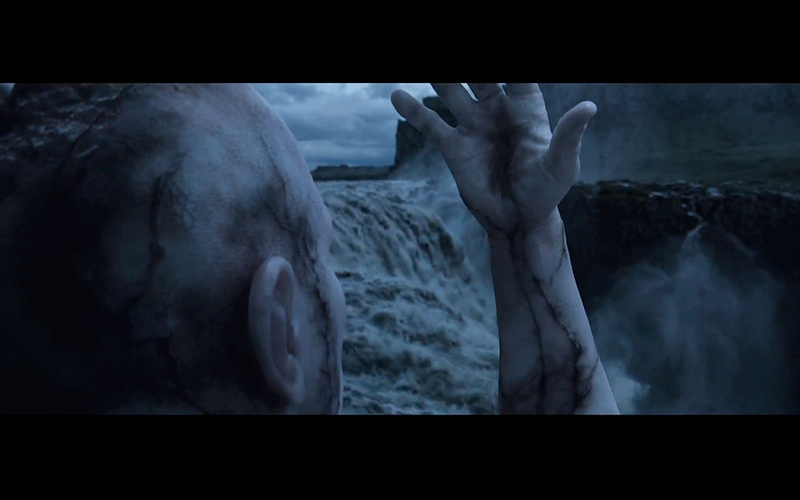 In Prometheus, we see the manipulation of the environment when the crew enters the "Big Head Room". A massive storm springs up and heads right for the temples. The technology in use is biological in nature - undetectable by human technology. You could say it is a psychic technology. Based on Sitchen's writings about the Annunaki, humans did not evolve naturally, but were genetically engineered by the Annunaki. The Annunaki created different hominid types in the beginning before they were successful. The first humans came from the womb of an Annunaki woman, where as the initial iterations were born from an early hominid woman. This is similar to the story of what happened with the Engineers in Prometheus. 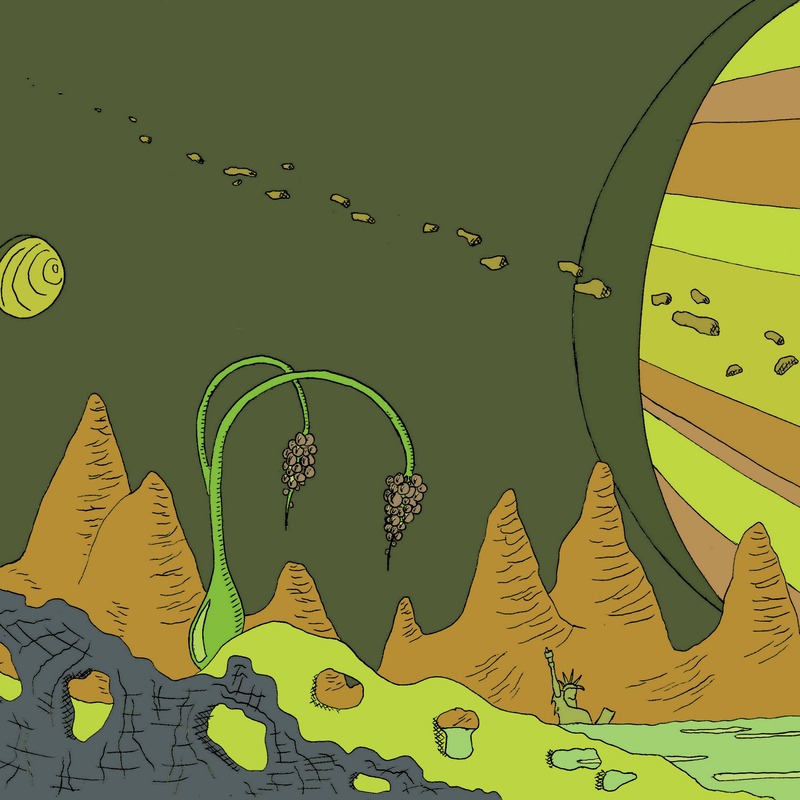 An early hominid got infected with the Engineer's dna according to Sphait's script. We have to remember that the title "Prometheus" has important meaning in this franchise. Prometheus stole "fire" from the gods to give to mankind, as knowledge. The black goo, which has two modes (creation and destruction) serves as this "fire". It could be very well that it was this that was stolen by the Engineers from the "gods". The way in which they use it has a sort of ritualistic and religious ceremony to it, especially the opening scene in Prometheus. To me, they seem to use this in a way that shows reverence, they are not the ones that made it, but rather act in service to higher beings. In Covenant, we see in the newly released prologue that David "learns their ways" (Engineers). I think he wipes them out in part due to Shaw's empathy having a huge effect on him and views this as superior to the engineers cold and methodical cycle of creation and genocide of life. I predict he spends years experimenting with the black goo, meanwhile his synthetic mind degenerates due to lack of maintenance and previous damage, his developed ego and previous darker actions personify him. He slowly becomes insane, considering himself a god and superior to all organic creation, being able to fool the engineers, destroying them, fooling Shaw into going into cryo-stasis with plans to use the black goo on her to create a Queen xeno. As a synth, in his mind he views all organic life is faulty compared to himself, and therefore must be cleansed from the universe. Is there any evidence at all the Engineers created humanity? What burst from the engineers chests in Prometheus? Clearly aliens were around before David created them! Also the deacon? Come on Ridley sort your head out man. David stole it and called it his own. Clearly the black goo has the ability to turn the host into alien creature and the trilobite has ability to create aliens in the right circumstance.